On the bank of river Narmada in Madhya Pradesh, there is an island resembling the shape of Hindu letter AUM. 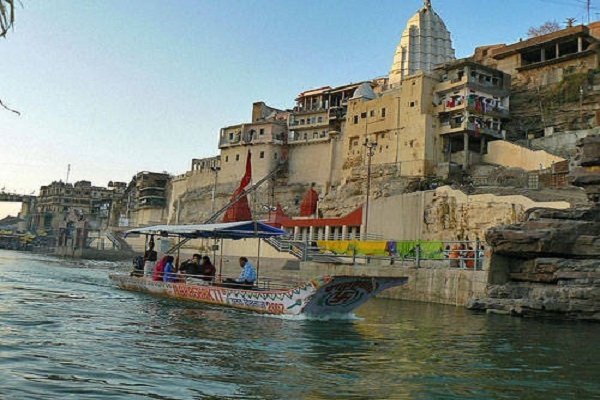 An ancient temple of lord Shiva, the Omkareshwar temple on this island is one of the most revered places for Hindu devotees. The name Omkareshwar means, the god of Aum or the supreme almighty himself. One of the 12 jyotirlings of lord Shiva, this temple gets its name from the shape of the island it is structured on. As per the legend, there was once a debate between Brhama and Vishnu about who was more creative in devloping all the universe or the three lokas, means 3 worlds. Unable to decide, their supremace they presented the issue to lord shiva, who cut the whole universe in three endless light towers. He then asked both Brahma and Vishnu to find the end of the light towers to prove their supremacy. Brahma returned and lied to Shiva that he has found the end of the light tower, while Vishnu accepted his inability to do so. Shiva, upset by Brhama's lie, cursed him for not being worshipped in religious rituals. But, he got impressed with Vishnu's speaking the truth, and blessed him for being worshipped eternally by all the creatures of three lokas. The light towers were called jyotirlingas and are 64 in no representing the endless towers of light with no beginning and end. But, the most revered jyotirlingas are 12 including Omkareshwar temple of Madhya Pradesh. Located in Khandwa district of Madhya Pradesh, Omkareshwar is visited by lakhs of Hindu devotees every year from across India. 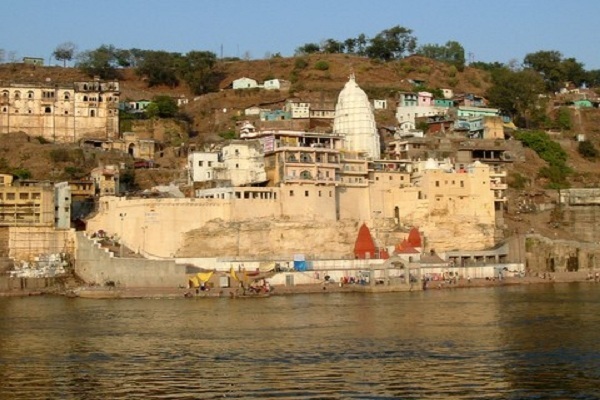 There are two parts of this temple, first known as Omkareshwar is located in the island, while second known as Amareshwar located on the bank of river Narmada. It is believed that Lord Shiva divided the light tower or lingam into two parts and thus the two temples here. 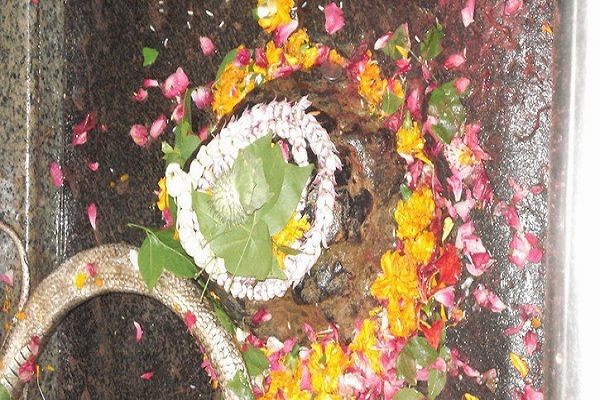 While Omkareshwar gets it name from the Aum shape of the island, Amareshwar means the god of immortality. Shivratri is the most celebrated festival here apart from dozens of other Hindu festivals round the year. Darhan Timings: Omkareshwar Temple's darshan opens with Mangala Aarti at 5 am and closes at 10pm. Darshan remains closed during lunch break on all days. 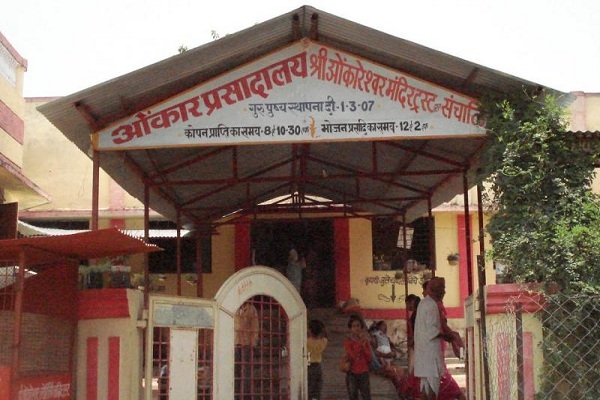 The temple is 77kms away from Indore, and can be easily reached by taxi or bus.